Planning will soon be underway for yet another delegation of Charlottesville residents and community leaders to visit our Sister City of Winneba, Ghana, later this year. (Stay tuned for more info. on how you can participate!) Several nurses from the UVa Medical Center are planning to take part in the trip and volunteer in one or more of Winneba's understaffed medical clinics while in Ghana. 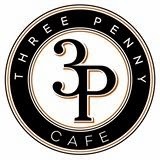 To kickstart the fundraising for this trip, Threepenny Cafe at 420 West Main St. in Charlottesville (formerly home to Zinc) has generously agreed to host a fun and festive fundraising event for the Charlottesville-Winneba Foundation on Tuesday, June 24. It's called "Nurses Night" and any nurse who works at UVa (or Martha Jefferson, or anywhere else in the community) will receive a big discount on drinks from the Threepenny bar from 7-10pm that night - just bring your nurse's badge or I.D. Of course, non-nurses are totally welcome and encouraged to attend as well; a portion of all the proceeds that evening will go to the Charlottesville-Winneba Foundation (www.cville-winneba.blogspot.com) to help offset the costs of the upcoming trip to Winneba.